I've got a function. I want to scale the X-axis in a weird way. 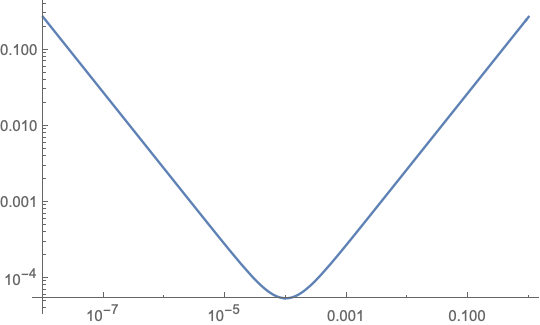 I want value of h = 10^-4 to appear in the middle of X-axis. 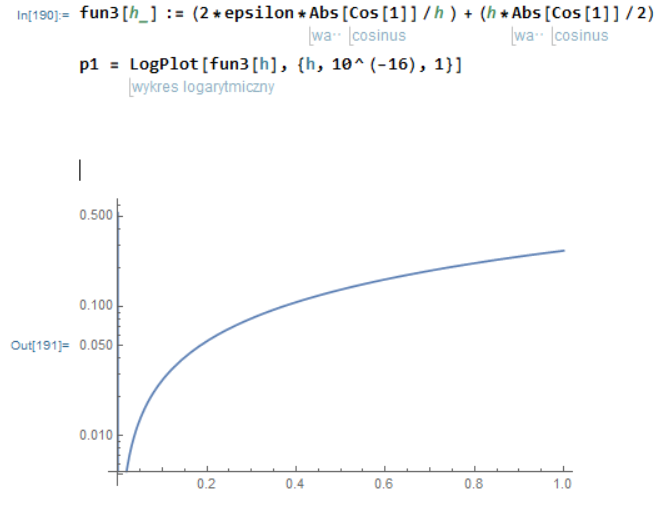 In my plot, shown below, we can't see that function is decreasing. How can I achieve my goal? 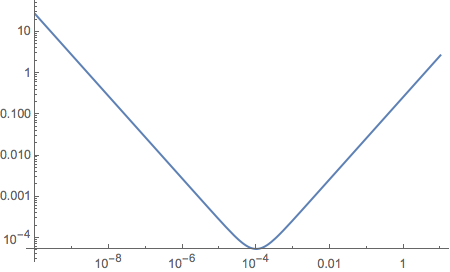 Function fn3 is deacreasing in interval 0 < h < 10^-4 and increasing in the interval 10^-4 < h <= 1. It would have been helpful if you had given the value of ϵ which minimizes your function at h = 10^-4. It would have saved me the effort of computing it. Your function fn3 can be written in the simpler way I show in this answer.